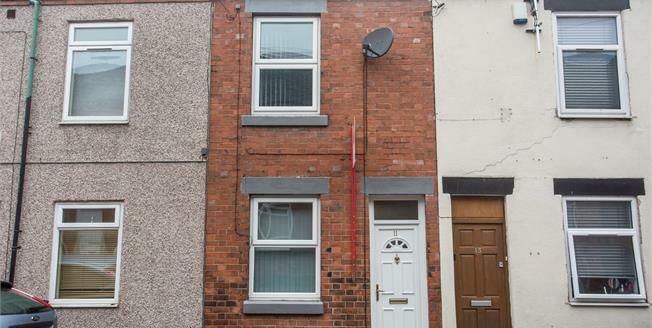 This property's price has dropped from £115,000 to Guide Price £105,000. A beautiful two bedroom Victorian mid terraced property situated in the pleasant and popular Newcastle Town Centre which offers ease of access to local shops, schools, and The University Hospital. This well maintained property has recently undergone a full refurbishment and benefits from having a new fully fitted Kitchen, new boiler, and flooring throughout. In brief the property consists of: A large open plan lounge, dining and kitchen area, inner lobby and the ground floor bathroom. To the first floor there are two double bedrooms and two useful storage cupboards. Externally the property offers a lovely sized enclosed garden. This would make a super first home but would also be a great rental opportunity for landlords looking to add to their portfolio. Open plan to the dining and kitchen area, with laminate flooring, feature fireplace with Adam style surround and double radiator. Newly fitted Kitchen with a comprehensive range of white gloss wall and base units with work surface over. Fitted appliance such as cooker, four ring gas burner with extractor hood over and a stainless steel one and a half bowl sink with mixer tap. New Vinyl flooring. With Upvc door leading to the rear garden and tiled flooring. Three piece suite comprising of panelled bath with electric shower over, hand wash basin and Low level WC, Fully tiled walls and flooring and chrome towel warming radiator. Double glazed window to the rear front elevation, single panelled radiator, newly fitted carpets. Double glazed window to the rear elevation with double panelled radiator and newly fitted carpets.